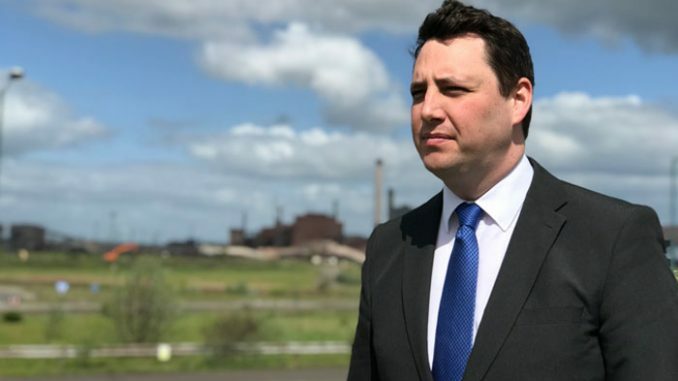 Compulsory purchase proceedings will commence on the former SSI steelworks site if ongoing talks with three Thai banks fail to reach a positive conclusion by the end of February, Tees Valley mayor Ben Houchen has promised. Mr Houchen secured an agreement in principal on a deal to buy 870 acres of SSI land when visiting Thailand with Middlesbrough FC and Bulkhaul chairman Steve Gibson last May. Back then, an agreement seemed likely but talks have since stalled and the mayor has warned that he isn’t prepared to wait more than two weeks more before taking a different route towards securing the land. While 1,420 acres of land that make up the South Tees Development site have already been secured, the STDC team have contined to negotiate with the Thai banks to secure the remaining land held by SSI in receivership since the closure of the steelworks. But Mr Houchen warned: “Failure to reach an agreement with the Thai Banks by the end of this month will mean we commence compulsory purchase proceedings. He revealed that a number of “advanced meetings” are scheduled for the remainder of February between the Thai Banks and STDC officials where it is hoped to reach a suitable agreement. However, he added: “We have made an offer and a figure is on the table, but as things stand today I expect it will be rejected. “If it is, and no agreement is reached, we will commence compulsory purchase proceedings and pay fair market value instead. The Thai banks are believed to have put £800m into the Redcar site before the steelworks closed. But the mayor has warned the banks – Krung Thai, Siam Commercial and Tisco – that they could walk away with very little if they don’t accept the STDC’s existing offer, so triggering compulsory purchase proceedings. Despite his frustration with the talks, Mr Houchen added: “Fortunately, the top three to five investment proposals will be on the 1,420 acres of land we already own. “It is important we secure SSI’s 870 acres, but I’m not writing a blank cheque. “Around 3,000 people lost their jobs when the site closed in 2015 and frankly it would be an insult for us to pay back the full amount the Thai Banks loaned to SSI.